Robert Schumann was inspired by choral singing very early on, and it is true that in the first half of the 19th century the composer was particularly spurred on by choral music activity in the capital of Saxony, where he lived. Continuing the choral music tradition started by Heinrich Schütz’s Kreuzschule in the 17th century, Robert Schumann dedicated himself to the practical development of choral music by becoming the musical director of two choruses: the Männergesangverein, a male Liedertafel in Dresden, and the Chorgesangverein, a mixed chorus that he founded in late 1847. The preceding year (1846), Schumann had composed numerous choruses for Leipzig’s Liederkranz, another vocal ensemble founded by his friend Mendelssohn, but Schumann himself would also become an attentive, passionate choral conductor interested in the vast choral composition repertoire that existed at the time. In March 1848 he said, “I take great satisfaction in my Chorverein, whom I have on hand to interpret all my favorite music as my heart desires.” He was composing and directing at the time. He composed numerous pieces for equal or mixed voices based on the poems of the leading German writers whom he admired: Rücker, Mosen, Heine, and Goethe. These would be sung by the Chorgesangverein, in which he took great pride, and by the male Liedertafel in Dresden, though he subsequently gave up the post of musical director for this chorus. He added not only multipart a capella lieder to his work but also choral pieces with piano or other instrumental accompaniment, as well as religious music, mainly in German. 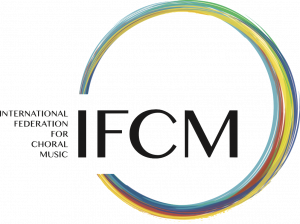 The German choral organization Interkultur, in its creation of an international choral singing festival fourteen years ago in honor of the composer, has shown no visible sign of abandoning this tradition. The seventh Robert Schumann festival was held on October 15-19, 2014 in Zwickau (Germany), the composer’s birthplace. This event certainly paid homage to him as a major choral music composer alongside Franz Schubert, Felix Mendelssohn, as well as Johannes Brahms. Consequently, over twenty choruses from over nine countries, mainly from Europe, came together in this small town in Saxony to present this high-quality choral repertoire. The groups mainly consisted of equal-voice male choruses, such as the Croatian chorus “Brodosplit”, as well as female choruses from Russia, Belorus, the Czech Republic, and Germany. A few mixed choruses from Switzerland, Norway, and many German Länder (states) were also seen there. A special place was reserved for Schumann’s compositions within the repertoire of these ensembles. Consequently, it was not only possible to hear some of the lieder composed by Schumann for four male voices, particularly for his 1847 Dresden chorus, but also mixed-voice a capella pieces from the leading German composers of the Romantic era, such as Brahms or Mendelssohn. From the very first days of the competition onward, in the large art deco room of the Neue Welt in Zwickau, the jury noticed the overall excellent level of the choruses present. 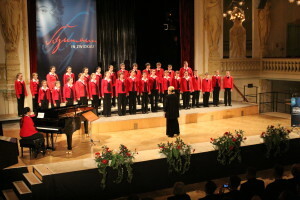 During the mixed-voice competition, Norway’s Kammerkoret Aurum was hailed for its musical precision in its performance of Schumann’s “Bänkelsänger Willie,” and Latvia’s mixed chorus was hailed for its seemingly effortless vocal performance of “Am Bodensee” from the Vier Gesänge. The equal-voice Schumann pieces were certainly not to be outdone, given the very beautiful resonance of the Russian “Cantilena” chorus with “Der Wassermann.” People were also impressed by the choral work of “Vox animae” in Brahms’ “Wo ist ein so Herrlich Volk,” the purity of the female voices of the Byelorussian “Lira” chorus during its interpretation of “Laudate Pueri” (one of the three Opus 39 motets of Felix Mendelssohn), and by the blending of voices of the Czech girls’ chorus “Kühnuvdesky sbor” during its performance of Johannes Brahms’ Ave Maria. Also worthy of note was the very welcome presence of “Pasargaad,” an Iranian chorus, who also performed a Mendelssohn motet. 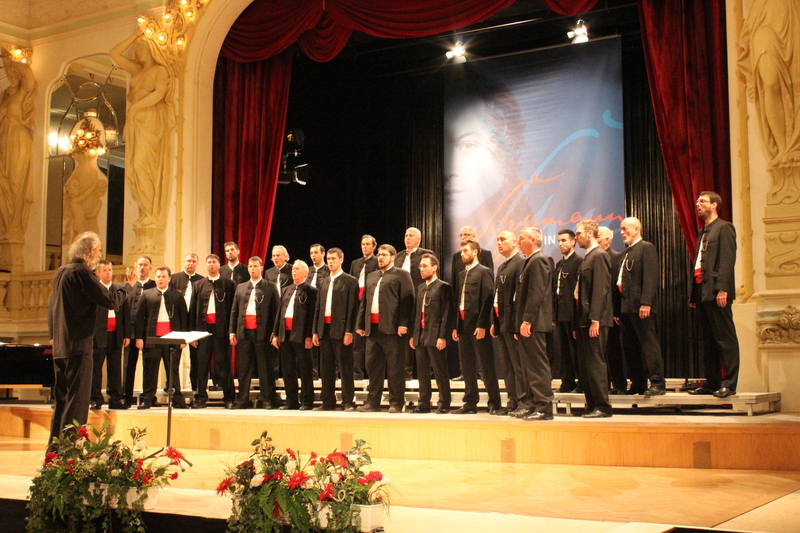 But the chorus that made the greatest impression in interpreting German Romantic music was, without question, the men’s chorus “Gradski zbor Brodosplit.” This Croatian group gave a remarkable interpretation of the second of his lieder, the “Freiheitslied” composed by Robert Schumann in 1847. This very lovely interpretation, coupled with solid vocal support and beautiful nuances, was awarded the Robert Schumann performance prize given at the end of each day of the competition. In his compositions, Schumann did not shy away from technical innovations, daring rhythms, tempo changes, changes in interpretative markings, changes in tonality, use of dissonance, and changes in meter. 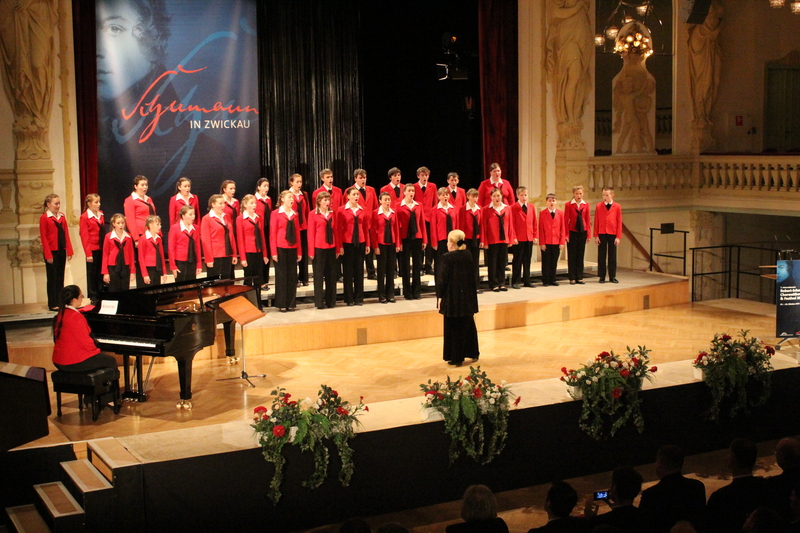 The choruses present in the different categories of the competition – equal voice, mixed voice, children’s or adults’ chorus, sacred or secular music – knew how to bring this touch of modernity to the music in a way which would fit in well with the passionate work of the German Romantic composer and choral conductor. Numerous pieces, making use of the most advanced choral techniques, most certainly rounded out the performers’ already very high overall technical level in the field of interpreting Romantic music. 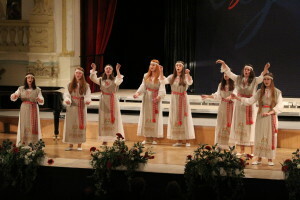 Worthy of note were the eight-part work of the Swiss “Vox animae” singers in their interpretation of vocal pieces by Morten Lauridsen and Eric Whitacre, Valeri Gravilin’s rhythmic pieces interpreted by the Byelorussian girls’ group “Tonica,” as well as the precise work of Latvia’s mixed chorus “Pa Saulei” in its interpretation of a vocal piece by Peteris Vask. Within this spectrum of modern choral music, it was the Norwegian chorus that stood out with its performance of several contemporary pieces, particularly the Laudes by Odd Johan Overove. The chorus valiantly overcame the music’s technical difficulties, and the piece was performed with flawless intonation throughout. The jury set a high premium on the relevance of the selection of musical pieces performed to each different stage of the competition. Such selection was often made on the basis of chorus-specific qualities and criteria specific to what was being tested in the competition. A choral conductor must see to it that he always provides a varied repertoire of many types of pieces (preferably in many different languages), always selected on the basis of the vocal and musical capabilities of the competing choral group. 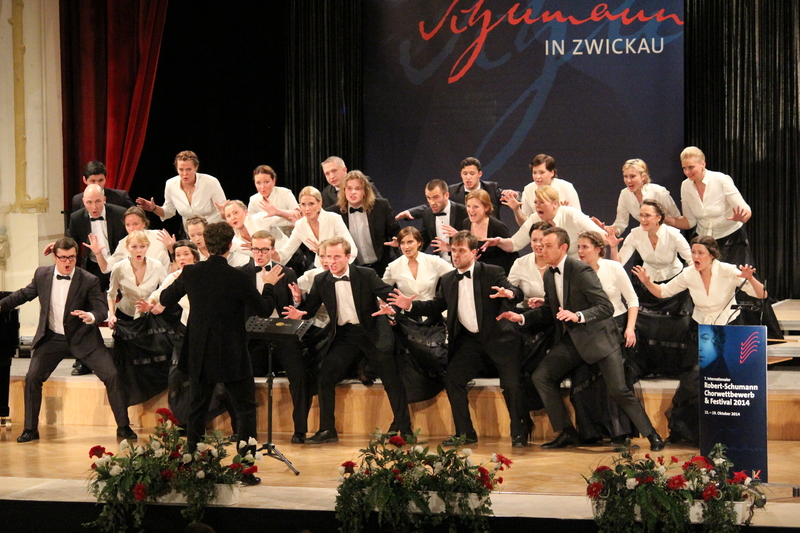 And such criteria necessarily led the jury, in the championship competition, to select Latvia’s mixed chorus “Pa Saulei” as the first prize winner of the 2014 Robert Schumann competition. This chorus most certainly won as a result of the originality, enthusiasm, and liveliness of its final choral performances, which garnered the votes of jury members and the audience alike. Overall, the competition was an excellent example of Schumann’s choral music, as well as German music in general. A case in point was the wonderful motet “Beim Abschied zu Singen” (“To be Sung in Farewell”) for chorus and instrumental ensemble, which was written by Schumann in 1847 when he was living in Dresden, sung by all the participants at the opening ceremony, and performed again when the prizes were awarded. The music was appropriate in the best sense of the words “Es ist bestimmt in Gottes Rat” (“It is decreed by God that we must someday say farewell.”). Each person hoped, however, that this would only be until we meet again (“Auf Wiedersehen”). Written for the similar July 1847 Schumann festival in Zwickau, the lied-motet delicately wove together the indescribable emotions that came over each listener. The lied contained within itself the most essential qualities of Schumann’s choral repertoire, which is still often all but ignored by the world’s choral conductors. His musical framework emphasizes the syllables without any major contrapuntal display, but always with a masterful craftsmanship vis-à-vis the harmonies used. The polyphonic, homorhythmic singing thus becomes a sort of rallying call, encouraging a sense of togetherness which transcends differences so that the unifying force is no longer merely Germanic but universal. The choral music, so justly celebrated during these few days in Zwickau, reflects this ideal of “warm simplicity” which still prevails today as an ideal way of conveying friendship between nations. The Volkslied must now give way to contemporary choral pieces, from every country and in every language. Indeed, it is these pieces which once again serve to unify people around the values of togetherness and global cultural exchange.